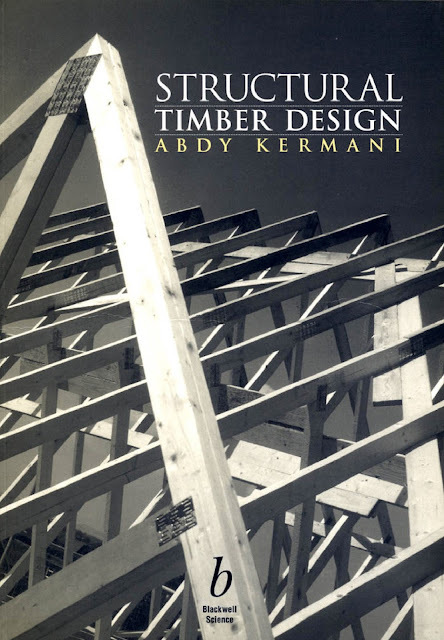 www.pdfstall.online: Structural Timber Design - By "Abdy Kermani"
Structural Timber Design - By "Abdy Kermani"
Structural Timber Design is a comprehensive textbook that provides students of building and civil engineering courses with a wealth of information and in-depth guidance on design methods to the recently revised BS 5268 : Part 2 and the proposed Eurocode 5. It is also an invaluable reference source and design aid for practising engineers and architects. The text provides a step-by-step approach to the design of all the most commonly used timber elements and connections (illustrated by detailed work examples), and encourages the use of computers to carry out design calculations. I t covers the characteristics of timber; a review of BS 5268: Part 2 and its requirements; the design of beams and columns of solid, glued laminated and composite sections and mechanical and glued timber connections. The book also reviews the proposed Eurocode 5 and its limit states requirements, including the design of flexural and axially loaded members and connections. "Abdy Kermani" is a Fellow of the Institute of Wood Science and lectures in structural analysis and design at Napier University, Edinburgh. He has been involved in and has led several research and development programmes on the structural use of timber and its reconstituted materials for over 15 years. His research work in timber engineering is widely recognised and published internationally.